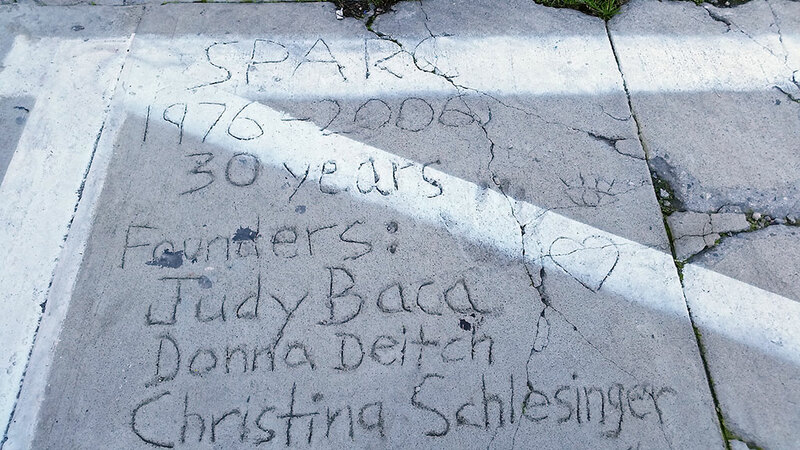 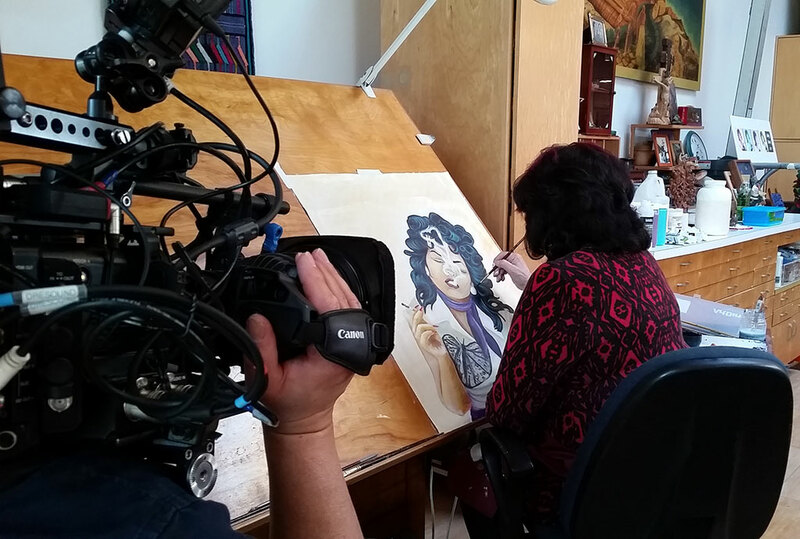 Last month, Craft in America filmed painter and muralist Judy Baca, and artists at the organization she co-founded, Social and Public Art Resource Center (SPARC) in Venice, CA. 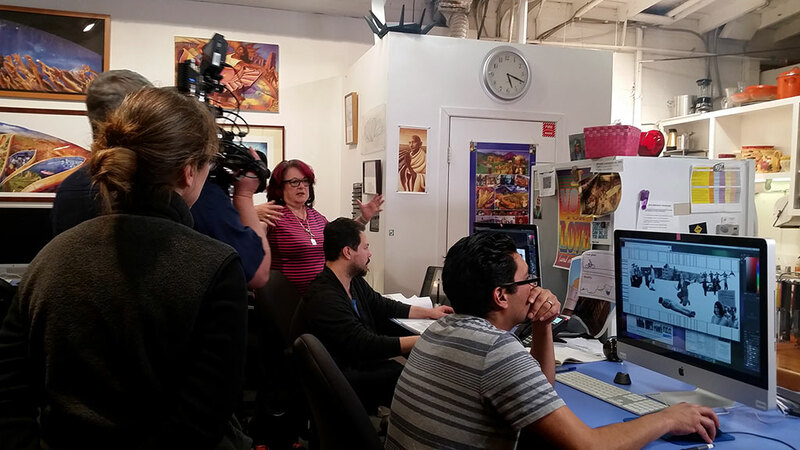 Perhaps her most famous work is The Great Wall of Los Angeles, first commissioned in the early 1970s and located in the Tujunga Wash. We filmed Baca at SPARC working with Project Manager Carlos Rogel and Lab Researcher Dagoberto Perez as they brainstormed ideas and created mockups for a new section of The Great Wall. 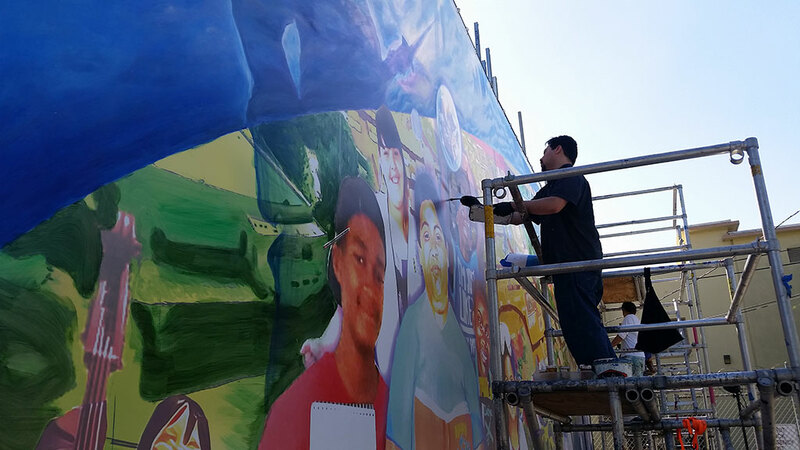 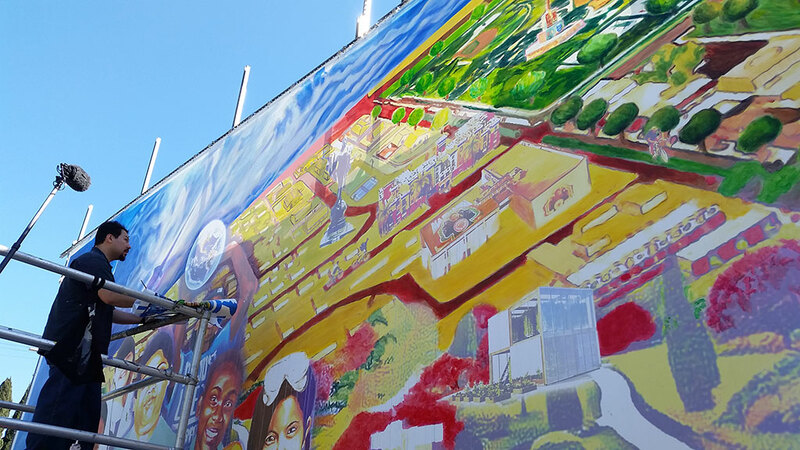 The artists at SPARC are also working on a mural to commemorate the 50th anniversary of the Watts Riots. 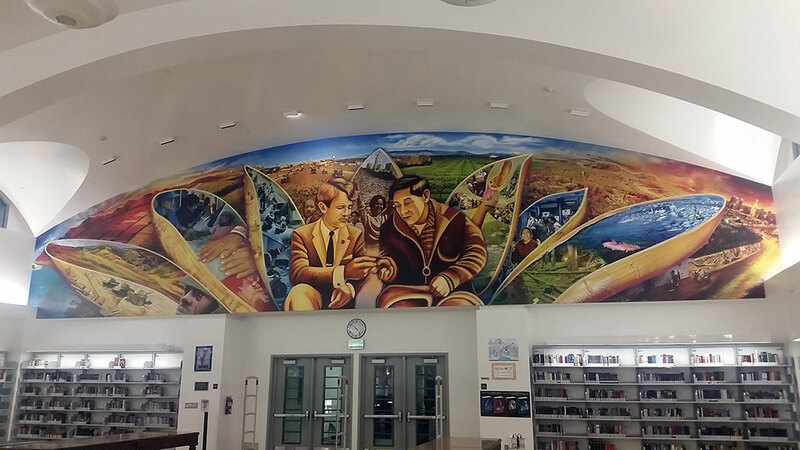 After being sketched and then designed on computer, the mural is output on a large-scale printer and then meticulously over-painted by hand. 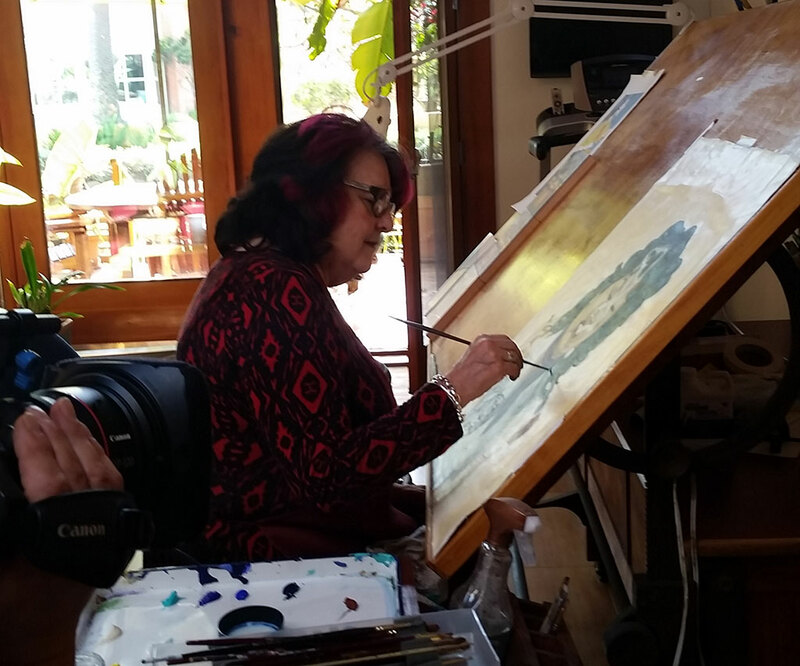 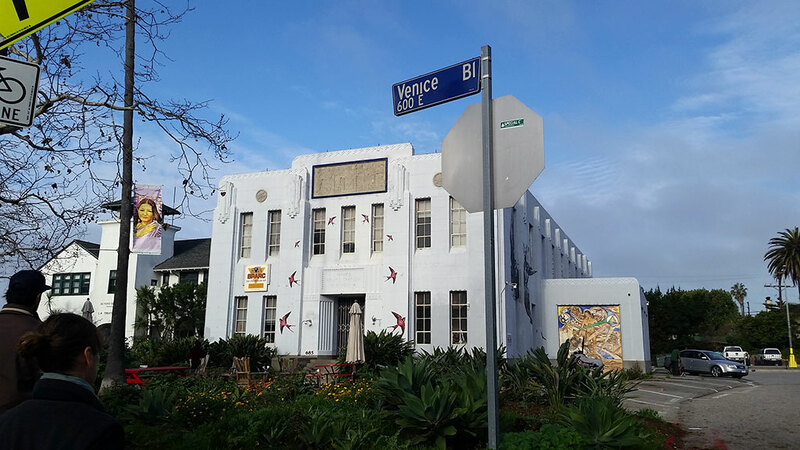 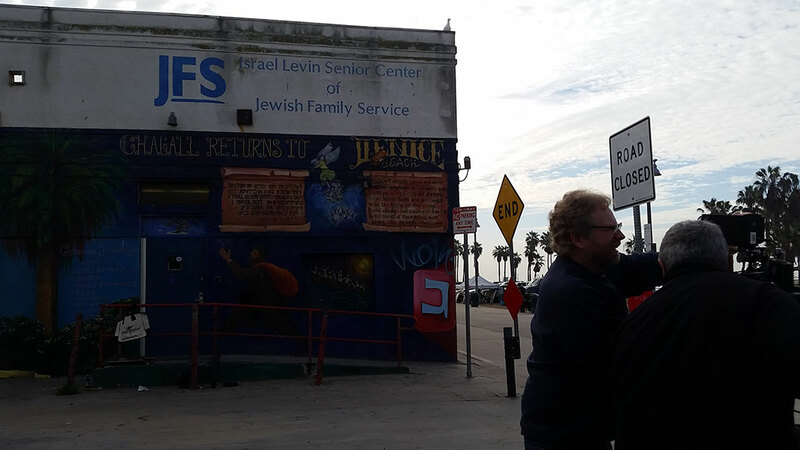 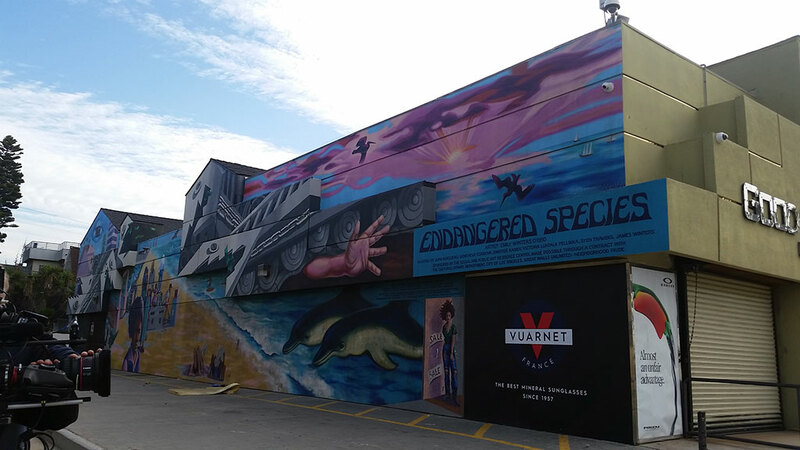 We filmed with Baca painting at her home and we filmed additional SPARC murals along Venice Beach and in the library of the Robert F. Kennedy Learning Center, which is located on the site of the former Ambassador Hotel, where Robert Kennedy was assassinated in 1968. 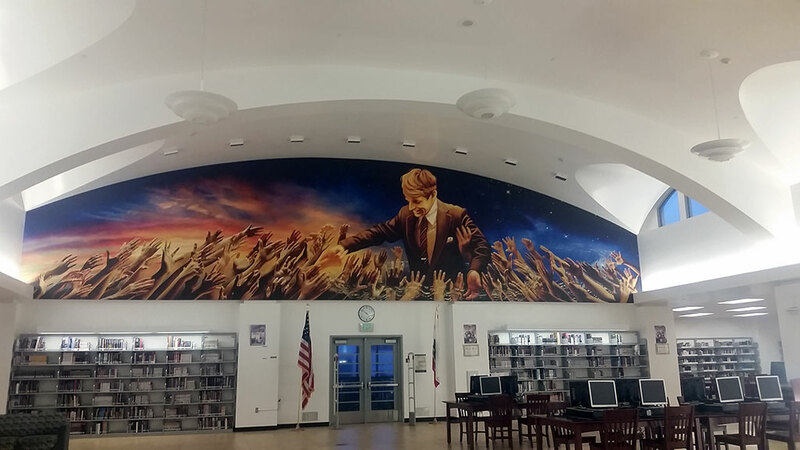 The two RFK murals are a memorial to Senator Kennedy who was revered as an advocate for the equality of all people.